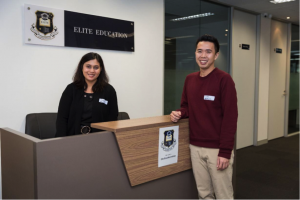 Elite Education Institute received approval of an additional delivery site – located at Level 6, 8 Quay Street, Haymarket NSW 2000 and moved its head operation to the new facility in September 2018. The new campus location is central to transportation, shopping and accommodation facilities for students. Central Station is only a short walk from the premises with transport links to most of NSW and interstate available. 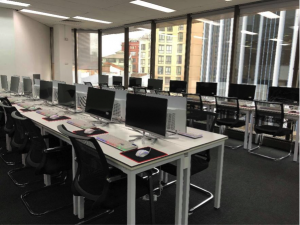 The facility has been fully refitted for higher education learning and teaching purposes and has natural light, a library and computer lab, spacious floor plan, student informal areas, new furnishings and modern IT infrastructure. The new facility adds immense value to the overall convenience and student learning environment, with dedicated research facilities and light filled, modern classrooms. 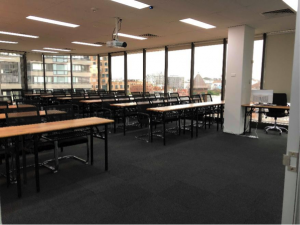 Promoting an engaging and conducive learning environment is one of EEI’s key strategic objectives which has been further emphasised with the acquisition of the Quay Street Campus. Come and take a tour of our new campus today – our friendly and dedicated Team is looking forward to showing you around!